Autism awareness thankfully has come a long way. You yourself are autism aware or you would not be reading this. The next step on the journey is Acceptance, and that begins with LISTENING to those on the spectrum and respecting their wishes as a community. Here is a guide for non-autistics, by no means comprehensive, on how to start being truly accepting. It has been compiled from my own experience and from suggestions from autistic people themselves. You are sure to read at least one thing that surprises you. Lets start with a word from the title of this guide. Labels are usually a bad thing. However, there are times when communicating that it is necessary to use adjectives or labels to help get the idea across properly. If you are not on the spectrum, you likely have never heard of the label 'Allistic'. 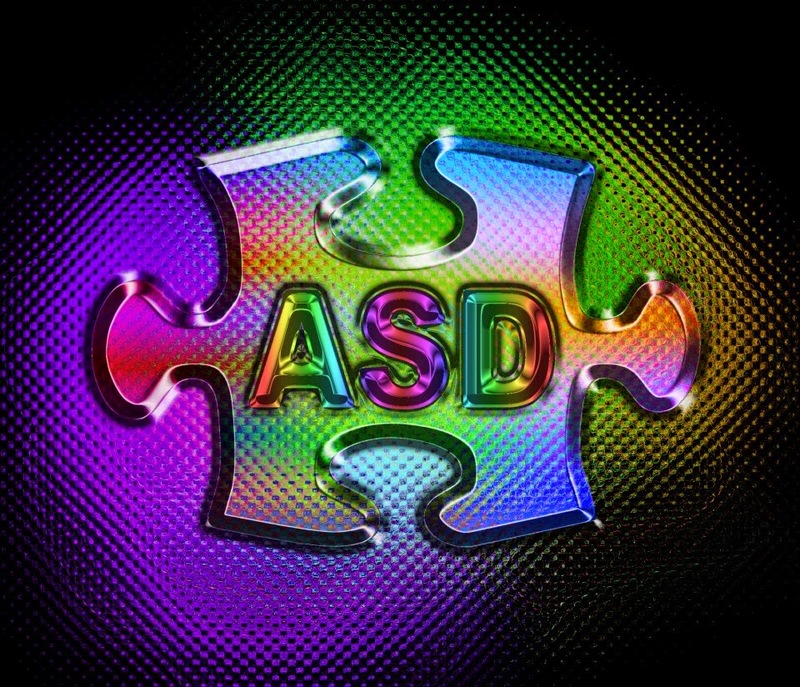 It is a term coined within the autism community to denote someone that is NOT on the spectrum. At one point 'neurotypical' was the common label used in place of the smug and repugnant 'normal'. Neurotypical is a term from psychology that in effect means normal development- no known disorder. However, this then leaves out pretty well the whole human population. Everyone has some challenge to cope with. Perhaps you are bi-polar, or claustrophobic, if so you are not neurotypical. Perhaps you are an alcoholic, or maybe something as 'benign' as afraid of spiders. If so, you are NOT neurotypical. So the term itself as a denoter of someone not autistic was actually a misnomer. Within the autism community the label neurotypical was shortened to NT and eventually became a slur as opposed to a way to differentiate and describe when communicating a thought. This led to a movement within the community to come up with a label for non-autistics that was not derogatory and was inclusive of ALL who are not autistic. Hence ALL- ISTIC. IF you are using the term NT for yourself, or your non-autistic children you are actually degrading yourself. This is quite the bone of contention. And it is not simply a disagreement over semantics. In overwhelming numbers autistic people, both verbal and non verbal have emphatically indicated they prefer 'autistic' over 'with autism'. They feel that autism is an innate part of their personality, not something they are 'afflicted with'. People first language is what we are all taught is politically correct, but there is nothing more politically INCORRECT than telling an entire population that their preferred moniker is wrong. When a person directs you to a different descriptor of themselves, RESPECT them. Do not tell them they are wrong or don't know better. That is the opposite of acceptance. In this case, the vast majority prefer 'autistic', so you should start with that, and switch if a person asks you too, not the other way round. I once heard someone put it this way, 'You wouldn't say a person with left-handedness. Well autism is just as much a part of who I am as being left-handed. If I were not autistic I would not be the same person. I do not HAVE autism. A left handed red haired autistic is who I am '' . Without Autism Speaks we would not have gained the awareness we have today this quickly, and they have some wonderful programs. But to Autistic People and those who love them, Autism Speaks is the devil incarnate. They are an organisation whose main mandate is to find a cure. Would you want someone to 'cure' you of your personality? Autism IS pervasive in that it is evident in every aspect of a persons life. So to 'cure' it would mean completely altering a huge segment of the population. If we 'cure' autism we would not have Bill Gates, or Mozart, or Einstein, or or or. 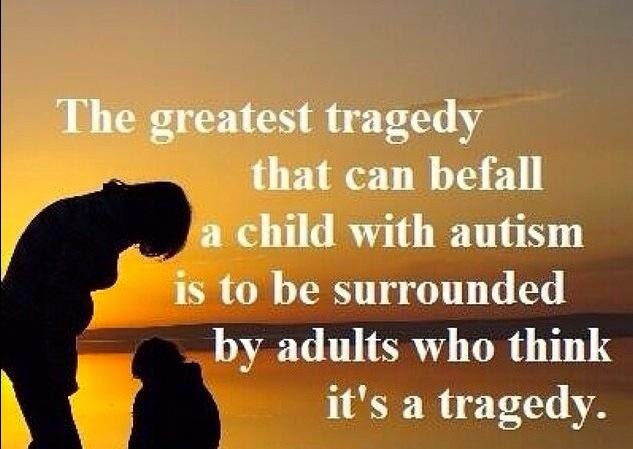 To eliminate autism would be to eliminate some of the greatest minds on earth. Finding ways to make society more accepting, ways to alleviate the extreme anxiety or help the sensory challenges that some autistic people face (like my own son) is of greater importance. I personally cannot imagine my life without my sons. Both have autism, both have different challenges. One is in college, and one will need care for life. A 'cure' would mean neither of my boys would be here. And who knows what profound effects they will have on the world. I can tell you, they have had a profound impact on me. Made me whom I am. What kind of world would this be if we eradicated those who are 'different'. It was once acceptable to try to 'cure' people of homosexuality. It was once acceptable to try to 'cure' people of left-handedness. It was once acceptable to try to eradicate , well, fill in the blank. People are people. And need to be seen that way and that way alone. A 'disorder' is not a 'disease' and therefore cannot be cured. TO 'cure' a disorder, you eradicate it. To advocate a cure is seen, understandably, as advocating genocide. Autism Speaks has also refused to allow autistic people onto their board of directors. How can an organisation the purports to support a population refuse to allow those FROM that population onto their board? They also have an EXTREMELY high paid board. Their expenses eclipse those of any other organization with a mere pittance going to the population they 'serve'. I could go on, but I won't. I simply advise you NOT to support Autism Speaks until they change their mandate. At the very least DO NOT speak to an autistic person about Autism Speaks, unless you are ready for a diatribe. see Autism Speaks. Also go to this website, bancdmms.com to see how horrible pushing autism cures can get. Ban Chlorine Dioxide/MMS is a website dedicated to the stopping the horrible and world wide new trend of administering bleach, orally or rectally, to children to 'cure' them of autism. What does Âû placed at the end of a person's name mean? Autistic Union. And what does THAT mean? I will let the Âû facebook page explain it as they do it perfectly! ''The Suffix ‘Âû’ is used by autistics, friends, families and supporters of those living with autism within the Autistic Community. 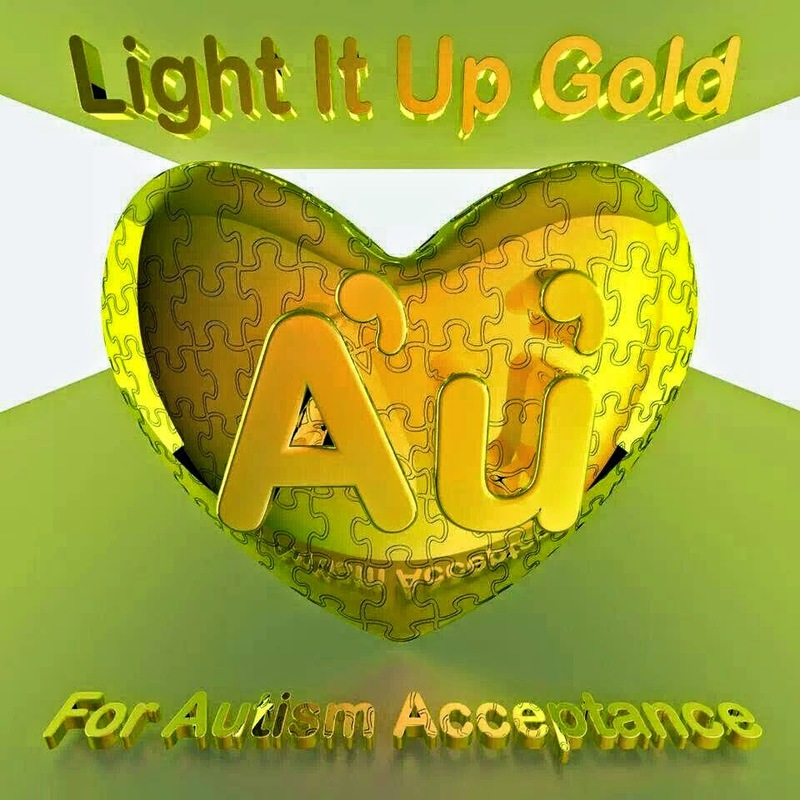 It is fast becoming an international symbol representing autism advocacy, autism pride and acceptance. Many autistic groups and pages have adopted Âû within their titles and it is fast becoming an internationally recognised symbol. Light it Up GOLD, not BLUE. Yes, that is right. Light It Up Blue is a fundraising initiative for Autism Speaks. The funds raised do not go to excellent organisations like The Geneva Centre For Autism in Toronto, or directly to families in Autism Households. They go directly to Autism Speaks. Blue is the brand colour for Autism Speaks. It isn't, and never was, the symbol of Autism. Autistic people around the world have spoken loud and clear, they do not want to be associated with Autism Speaks. Why gold? The elemental symbol for gold is AU. see above. Autistic people are often thought of as having less emotion, being more logical. And while yes, logic and routine are quite important to most autistic people, that does not diminish their emotions. Autistic people are not Vulcan. They FEEL. Just like you or I. They may just express it differently. Ever drum your fingers on the table when bored? Wrap your arms around yourself when upset? Tap your toe when impatient? That is self stimulatory behaviour. STIM or STIMMING for short. If you were upset, and hugging yourself and someone came along and forced you to keep your arms at your side, your sadness would turn to anger, and instead of self soothing you would end up more upset than when it all started. STIMs are the same for autistic people. The reasons they need to STIM may differ from yours, and the ways they do may seem unusual, but it is the same process. Just as you wouldn't want someone to stop you from hugging yourself when you are down, you shouldn't stop a person with autism from stimming. Instead, you should be trying to find out the cause of the STIM and if the cause is something unpleasant, DO SOMETHING ABOUT IT. Don't punish the person. STIMMING is their way of self soothing, and is also a way to communicate to the world that something is upsetting or hurting them, or something is making them happy or excited. The same as it is when you or I do it. If you slapped my hand when I was biting my nails, I can tell you I'd be quite angry. If you saw me biting my nails and asked 'is everything ok' there would be a happy ending. Extend that same courtesy to an Autisitc person and their stims. A meltdown is not a tantrum. A tantrum is a display of anger or displeasure meant as a manipulation to obtain the preferred item or activity. It is a power play. A tantrum is best dealt with by ignoring, not giving in, not giving attention. A meltdown is a complete loss of control brought about by extreme anxiety, usually triggered by SPD. A meltdown will not stop until the person has exhausted themselves or the cause of the meltdown is removed. A meltdown is a cry for help, not bad behaviour. Never ever punish a meltdown. ALWAYS try to figure out what brought it on so that you can help the person avoid that pain again. There is a commonly held belief that a person who is non-verbal and has behavioural problems is low functioning. Non-verbal does NOT mean low functioning. I have friends throughout the world who are non-verbal with whom I have the greatest and most mind blowing conversations with. Once you get past the idea that TALKING is the only form of communication you will see people in a new light and never think of non-verbal as low functioning again. As for behaviour, when you are living with extreme anxiety. Anxiety powerful enough to render you non verbal, would you not act out? Look up Carly Fleischmann et al. You'll never use the term low functioning again. Absolutes like this are never a good idea. Absolutes assume each and everyone is the same, rather than individuals, with individual thoughts and feelings. Autistic people rarely have an internal voice. Meaning if they think it, they say it. Being blatant however does not mean everything you say is die hard fact. An autistic person is just as capable of lying as you are, they are however much more likely to say a truth that you might suppress. The most generous estimates state that 10 percent of autistic people are savants. But it must be understood that documented true savantism, ie genius level in a particular area while facing extreme challenges in others, is generally understood to be limited to less than 20 living people on earth at any time. So no, my son is NOT a genius at something, but he is an amazing son. Assuming all people with autism have savant skills is insulting those who don't, which, from the numbers I just mentioned, would leave MILLIONS of people, and their families, offended. The opposite assumption is just as bad. Assuming an autistic person is without skill is just as bad as being disappointed that they are not super-human. Autistic people are PEOPLE. Plain and simple. Are you an Autistic person and want to communicate something to allistic people (no bashing please, that doesn't help acceptance) or an allistic person who has a question (ditto), please comment below! Lets keep this conversation OPEN! BEST discussion I've seen of the "autistic" /"with autism" distinction.